Westpac has released its Westpac-Melbourne Institute SME Index which shows business pressures have contributed to a sharp fall in SME confidence. 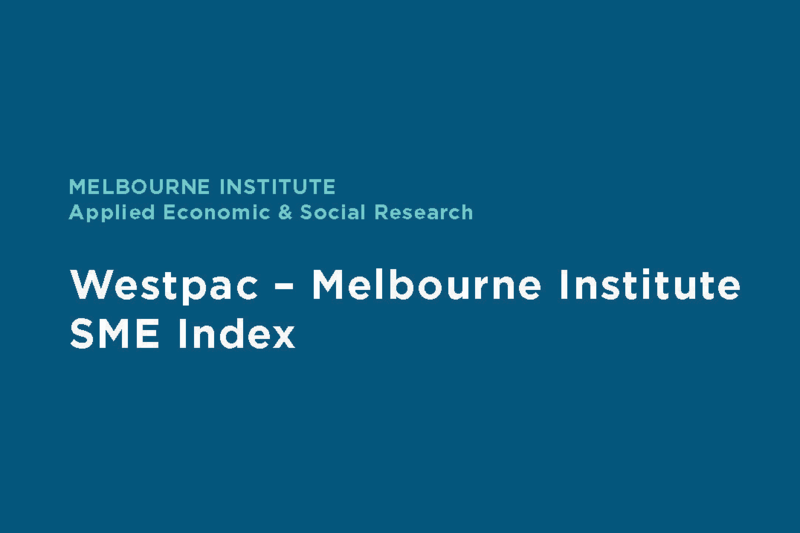 The Westpac-Melbourne Institute SME Index has fallen to the lowest level since June 2016, with decline in profits, housing market moderation, and a downturn in dwelling construction cycle cited as contributing factors. Westpac Senior Economist, Matthew Hassan, said the index showed SMEs are facing pressures on many fronts. “The housing cycle has turned and is clearly starting to bear down more heavily on exposed SMEs,” Mr Hassan noted. The Index also showed that while 40% of SMEs reported a decline in profits – the weakest result since September 2016 – small manufacturers fared better than their counterparts in other industries, with 35% reporting an increase in real business activity in the past 12 months and 40% reporting an increase in sales. According to Ganesh Chandrasekkar, General Manager, Westpac Small Business Banking, the future for the Australia’s manufacturing sector looks bright. “We’re seeing a re-emergence in the manufacturing sector moving away from big production lines towards other activities in the value chain like designing, recycling and packaging,” he continued. Overall, SMEs remain positive about future conditions despite the numerous challenges, with 29% planning to expand current business, or expand and open a new business over the next year. Importantly, over 50% of SME’s have taken steps to future-proof their business, with many investing in strategy and planning (57%), implementing operational efficiencies to boost productivity (57%) and training up staff (55%). “It’s optimistic to see many small businesses are investing in their future. With the right support and knowledge, I believe all small businesses can continue to adapt, thrive and drive our nation forward,” Mr Chandrasekkar concluded.